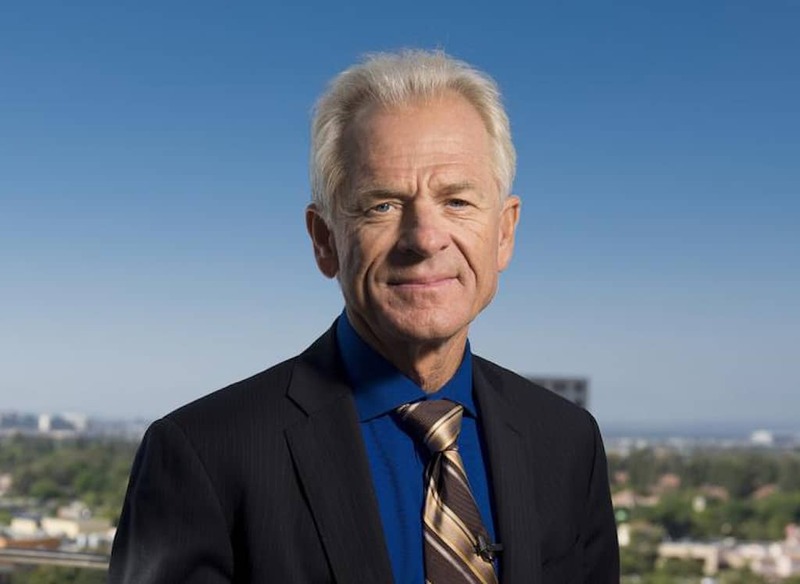 As a matter of strict objective fact, Donald Trump’s trade guru Peter Navarro is correct. Germany is the planet’s ultimate currency manipulator, not China. The Euro – really a de facto Deutsche Mark – is indeed “grossly undervalued.” The warped mechanism of monetary union allows Germany to lock in a permanent ‘beggar-thy-neighbor’ trade advantage over Southern Europe, inflicting mass unemployment on the victim countries and blighting their futures. Whatever you think of Peter Navarro’s trade philosophy regarding China, he is right that Germany’s chronic, huge, and illegal current account surplus – 8.8% of GDP – saps global demand and seriously distorts the world economy. Let us concede that this super-surplus is an accident of history, rather than the result of a strategic conspiracy by Chancellor Helmut Kohl in the early 1990s. The German people never wanted the euro in any active sense. The Bundesbank went to some lengths to head off the creation a ‘greater euro’ with too many ill-suited countries, constructed on the unworkable foundations that we can all see so clearly today. That says, monetary union was never entirely innocent. The German Chambers of Commerce and Industry (DIHK) railed against the periodic devaluations by Italy and France in the various fixed exchange experiments of the pre-euro era. They were fully aware of the mercantilist advantage of fixing the D-Mark rate in perpetuity, and their influence played its part in the German acceptance of the Maastricht Treaty. Once the euro was underway, Germany then pushed through policies in labor law and tax policies that amounted to an ‘internal devaluation’ – cutting unit labor costs in manufacturing in the single year of 2005 by 4.4%, for example – and continued to screw down its intra-EMU exchange rate long after there was any justification for doing so. The effect was to further entrench commercial supremacy. Large current account surpluses are invariably the result of tax policies, regulations, hidden barriers, and an overall governing structure that punishes consumption and fosters exports. Germany – for example – forces households to cross-subsidize the power costs of export industries. This would not matter much if Germany had a floating exchange rate: the currency would correct for the distortions over time. But such practices within the euro system are an entirely different matter. Nothing self-corrects. We all know why Brussels tolerates Germany’s open breaches of single market rules and competition policy, just as we know why it winked at equally clear violations of EU treaty law on the Gazprom pipeline, and why it fails to do anything about Germany’s violation of the macro-imbalances procedure on current account surpluses. EU law is clear, or should be. Persistent surpluses (three years in a row) above 6% of GDP are illegal. Germany is not even close to compliance, and the picture has been getting worse, not better. This violation is a much bigger threat to the long-term viability of monetary union than the trivial budget infringements by minnow states – so fiercely condemned by the European Commission. Yet nothing is ever done about it. Germany flouts the law with impunity, even as it lectures others on the rule of law. It is this double standard that feeds a pervasive sense of cynicism about the European Project. “There should at least be some symmetry. Why isn’t Germany being punished. We can’t go on like this, it’s not sustainable,” says Emma Marcegaglia, the head of the pan-EU industry federation BusinessEurope. “Some people say Germany should leave the euro,” she added acidly, when we spoke in Davos. It is not her view, of course. It is certainly mine. The German finance ministry knows exactly what it can do if it wishes to reduce the trade surplus. It can lower the punitively high taxes on low and medium wages, switching the burden to the corporate hoarders of savings that are at the root of the problem. “What winds everybody up is that Germany keeps pretending that these surpluses are pre-ordained. But they are the result of incentives, and governments can change incentives. German policy is set in the perceived interest of exporters at the cost of everybody else,” says Simon Tilford from the Centre for European Reform. “What is puzzling is that Germany seems to be proud of its surplus, but a big surplus is not a sign of economic vibrancy. It means that German companies cannot find opportunities to invest at home,” he says. The contrast with China is striking. Chinese officials at least recognize that surpluses are inefficient and not in the country’s own interest, and they have taken concerted measures to reduce their own from 10% to 2.5% of GDP. Germany has a strategic choice to make. It must either face up to the full implications of monetary union – a fiscal merger, shared debt, a (genuine) banking union, and an internal economic revolution to slash the surplus – or carry out an orderly withdrawal from the euro and revalue so that others can breathe again. What Germany cannot do is persist with its current racket. A belligerent administration in Washington entirely changes the strategic contours of monetary union. For years the US helped to prop up the euro. Italy’s ex-premier Mario Monti told me that Barack Obama played a crucial role in the white heat of the EMU debt-crisis, intervening behind the scenes in June 2012 to force a U-turn in German policy. Now we have a White House that deems monetary union to be a German mercantilist tool and a systemic threat to America’s commercial interests. Donald Trump openly desires a break-up of the euro. Does that matter? We will find out. — Ambrose Evans-Pritchard is the International Business Editor of the London Telegraph. Trump is Right: Germany Worse Than China originally appeared at To The Point News.